Since the Castle Hotel Windsor first opened in the 16th century, it has been a favored spot for guests to meet. Even the British nobility has desired to hold ceremonies at the Castle Hotel Windsor! 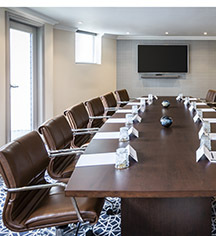 Today, the hotel possesses 12 spectacular conference venues, as well as several accompanying syndicate rooms that can accommodate up to 400 people. The Castle Hotel Windsor is the city’s largest conference venue. Dedicated staff are available to help organize every event to ensure that it unfolds magnificently. Sofitel has incorporated the best amenities into each venue, including complimentary high-speed WiFi. 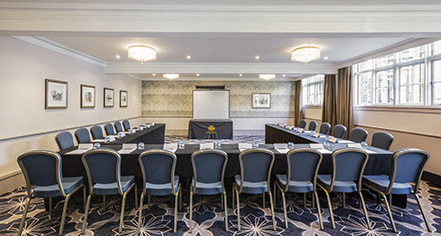 With these fabulous conference spaces, guests will find that the Castle Hotel Windsor will wonderfully exceed their expectations.